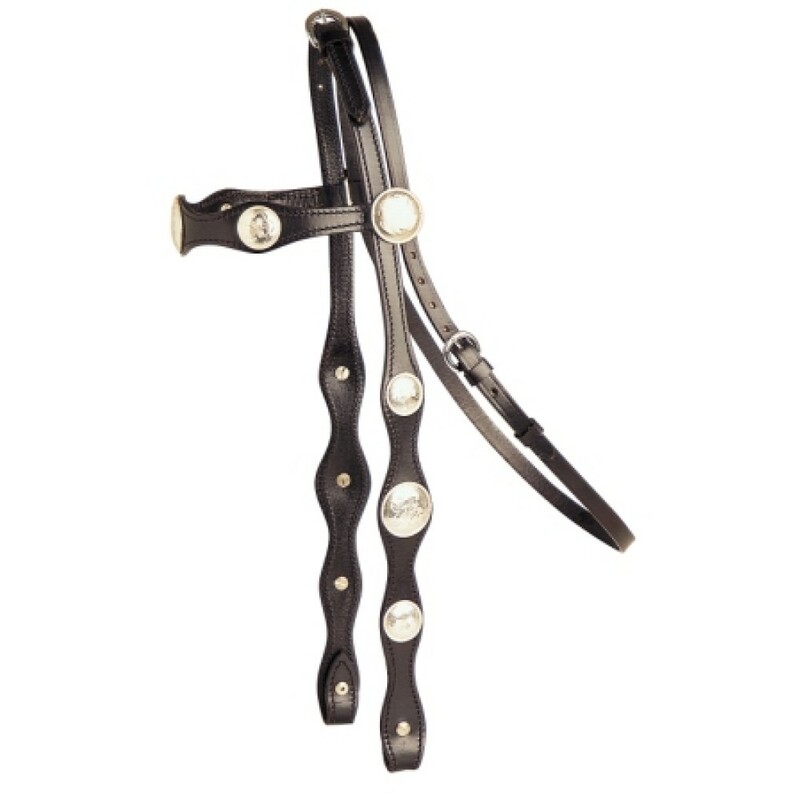 Attractive black leather western show bridle adorned with imitation conchos. 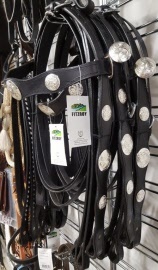 Fitzroy - Australian designed black leather western bridle and reins. 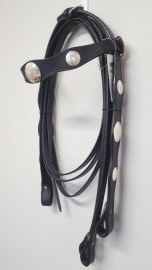 A stunning indian leather bridle with large imitation conchos.